Israel launched a Patriot interceptor missile on Wednesday at a drone spotted approaching from Syria, the second such incident in as many months, the Israeli military said. The incident set off air defence sirens on the Israeli-occupied Golan Heights and the nearby Jordanian border, the military statement said. 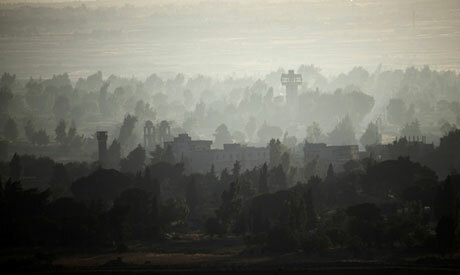 Israel has been on high alert as Syrian President Bashar al-Assad's forces advance against rebels near the Golan and Jordan. Israel worries that he could deploy troops or allow his Iranian and Hezbollah allies to set up emplacements near Israeli lines.